If you like your TV murder mysteries dark, and by dark I mean willing to show us a few crudely severed limbs, some Pollock-like blood spatter, and, yes, the innermost thoughts of those vile souls who serially commit crimes against humanity, then you have plenty of series to choose from these days. “Dexter,” the portrait of a serial killer as a young shrink-wrap artist, is gone, as are “The Killing,” “Hannibal,” “The Bridge,” “Ripper Street,” “Aquarius,” and “CSI,” may they rest in unexhumed peace. But “Mindhunter” is here, as well as “Criminal Minds,” “True Detective,” and “The Assassination of Gianni Versace: American Crime Story.” Plus, “Luther” will definitely be back at some point along with, most likely, “The Fall” and “Happy Valley,” which is an exceedingly unhappy drama. It’s a heyday for those fascinated by the grotesque sides of human nature, those who are students of all kinds of behavior, no matter how abhorrent. The best of these serial-killer shows — like the movie so many of them emulate, “The Silence of the Lambs” — make an unblinking study of pathology and psychosis, while they simultaneously stimulate the Sherlock lobe of our brains with forensic deduction. They point to which, if any, childhood events and traumas might have led these killers to act out with such violence and hate. I know plenty of viewers who prefer to avoid prime-time depictions of derangement, but fans of hard-core crime TV and its disturbing but eye-opening stories are in the middle of an embarrassment of riches. The worst of these shows — remember “The Following”? — fear-monger without any moral or psychological exploration, hoping to shock us with gratuitous brutality and then, once the killer is behind bars or dead, coddle us into serotonin-flooded dreams. So the addition of TNT’s “The Alienist” to the long list — oops, I forgot the recently departed “Bones” — is not particularly notable. The new series, which premieres Monday at 9 p.m., gets in line behind some extraordinary TV, led by season one of “True Detective,” the first four seasons of “Dexter,” and that wonderful trio of bleak British dramas — “Luther,” “Happy Valley,” and “The Fall.” Had the series based on Caleb Carr’s 1994 bestseller arrived two decades ago, when “Law & Order” was still in its youth and we hadn’t yet met John Lithgow’s Trinity Killer, it might have caused a ripple or two. With the kinds of grisly crimes usually only seen in horror movies, it might have stirred up some attention. But at this point, after decades of development hell, “The Alienist,” an entertaining drama set in 1896, is just another powerful serial killer show. When psychologist Dr. Laszlo Kreizler (Daniel Bruhl) calls crime scenes “works of theater,” he’s making an inspired observation — but one that, after the florid graves of “Hannibal” and the orderly murder rooms of “Dexter,” has been made on scripted TV many times before. Called an alienist because, as the show’s opening points out, the mentally ill “were thought to be alienated from their own true natures,” Kreizler is an early version of the two FBI agents and psychologist in “Mindhunters,” who are themselves early versions of the Behavioral Analysis Unit in “Criminal Minds.” They’re all criminal profilers at different points in the evolution of the science, trying to put themselves into the killer’s mind. “The Alienist” focuses on Kreizler’s pursuit, assisted by an illustrator (Luke Evans) and a police department secretary (Dakota Fanning), of the killer of boy prostitutes dressed in girl’s clothes. Like the BBC’s “Ripper Street,” set in 1899 London, the sooty, crowded streets of New York and the primitive investigation tools add to the creepiness. 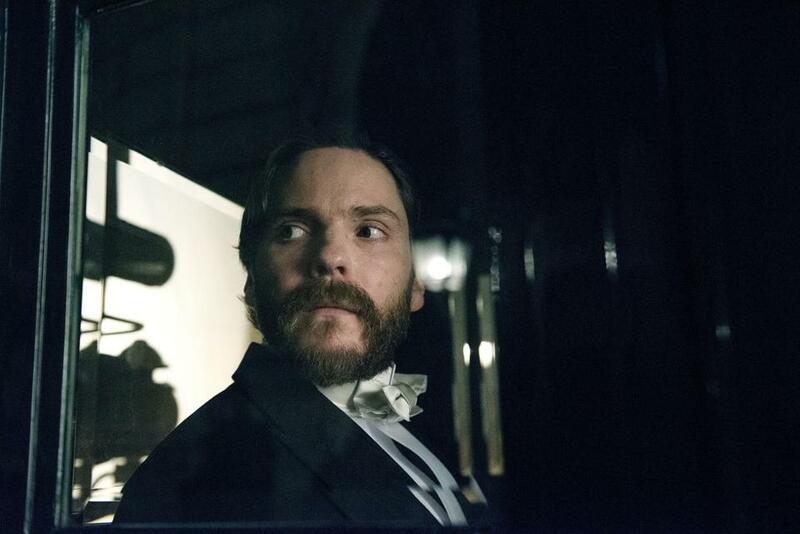 Also like many of these shows, “The Alienist” makes it clear that the class and sexuality of the victims and their clients can get in the way of finding the killer. One cop refers to a newly murdered boy as “it” and a “boy whore” dismissively, in disgust; it’s clear only Kreizler and his team truly want to solve this case. Wisely “The Assassination of Gianni Versace” amplifies that same theme — how homophobia can impede and corrupt an investigation — and applies it to the 1990s. While looking into the twisted mind of killer Andrew Cunanan, and the closeted gay men he killed before Versace, the series makes it clear that the cops aren’t in full pursuit. Cunanan appeared to only be a threat to gay men, not to the public at large — an attitude many officials took toward the AIDS crisis in its first decade or so. The social criticism adds weight to the FX series, which is from Ryan Murphy; it gives its rich portrayals of Cunanan (by Darren Criss) and his victims a context many may not have considered 20 years ago. Do we need all these serial-killer shows? Is this an empty canon? I find the good ones valuable, as a way for individuals and our culture to process the worst-case scenarios of life, to understand evil rather than simply look away from it. Not for me, a roster of TV shows solely built on triumph and “normal” behavior. If I’m going to learn about human existence, I want to look into all facets of it, not just the happy sides. I often return to this Stephen King quote from his essay “Why We Crave Horror Movies”: “Anti-civilization emotions don’t go away, and they demand periodic exercise.” Think of these serial-killer shows as providing us with a good workout.